Following on from our recent feature in the Daily Mail, we are going to explore the dangers of acidic wear and tear on teeth and how this can be corrected. Acidic food and drinks are a very serious problem for the health of your teeth. The most common cause of acid erosion on teeth can be found in items that we use everyday and in some cases assume they are healthy. Within this blog post, we will examine the 4 most common causes of acid erosion on teeth and the foods that cause them. Dried fruit such as cranberries, mango and pineapple maybe delicious but they are highly acidic and full of sugar. Compounding this issue, when fruit is dried it also becomes chewy. When chewing dried fruit it can become stuck to the teeth which adds a concentrated amount of the acid to certain areas of the teeth. Oral hygiene is very important if eating dried fruit, ensuring brushing properly and flossing after enjoying your dried snack. A suitable alternative to dried fruit is nuts, they offer much of the same health benefits yet are much kinder for your mouth. Citric acid is a major cause for erosion of tooth enamel. Continued use of citric acid in food and drinks causes the tooth enamel to dissolve. Once the enamel has been worn away the inner layer of your tooth (the dentin) will be exposed and you will start to experience sensitivity and pain. Untreated erosion can lead to the need of root canal treatment. If you have sensitive teeth call our friendly surgery today for a free consultation with no strings attached. Wine has a very high acid content which is integral to the taste. This acid attacks the enamel of the teeth, creating long term problems which can lead to more serious dental work being needed. Most wines have an acidic ph rating between 2.9 and 3.5 which significantly reduces the ph balance of the mouth causing acid erosion. Once the enamel is gone, there is no way to replace it. Regular dental check ups are a great way to ensure you have excellent oral hygiene. Call Carisbrook today for a free consultation. When we think of tooth damage we don’t always think of chlorinated water as a main cause for acidic erosion. Recent studies have shown that pools that have been incorrectly chlorinated contain PH levels that can damage the enamel on teeth. 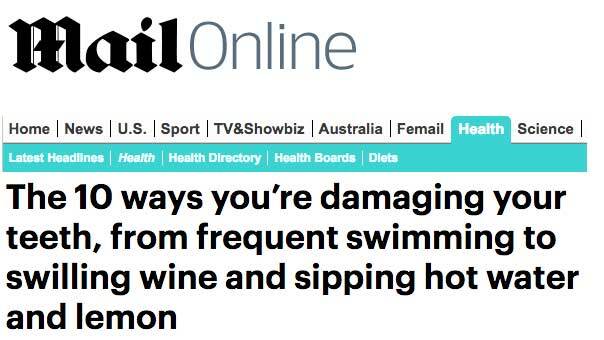 Swimming is great exercise and we would never advise anyone from it, however if you find your teeth are sensitive, discolour easily or are losing enamel book an appointment with Carisbrook so we can fully investigate the cause. Acid erosion of the tooth enamel is a serious issue for the health of your teeth, early detection and prevention can save more serious dental procedures in the future. 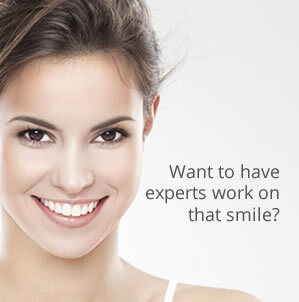 All of the dentists at Carisbrook are experts within their field. We can offer the greatest level of care and ensure you have excellent oral hygiene at all times.